Our organization is a leading manufacturer & supplier of wide variety of Paper bags. Our range is made from supreme from quality material & is widely appreciated among clients. In addition to this, the product range can be availed from us at affordable rates. it is hand made paper 100% cotton with khadi design this bag size 10.5x 15.5 and allso available all size. 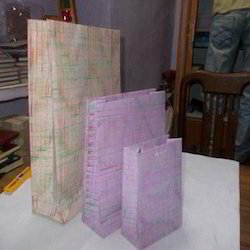 Our organization is a brand name in manufacturing & supplying an excellent quality of Handmade Paper Bags. 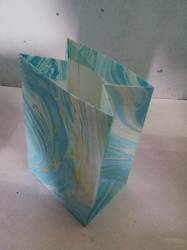 These Handmade Paper Bags get huge appreciation from our clients for their excellent quality. 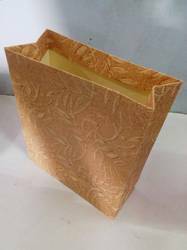 These Handmade Paper Bags are in huge demands owing to their attractive style and economical price. Our craftsmen manufacture these in bulk to meet the demands of our clients. Their availability in wide color range, adds to their charisma and huge demand. 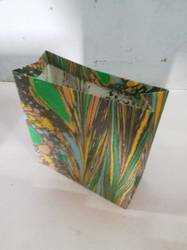 Our firm has been successful in earning a brand name in manufacturing & supplying of excellent quality Paper Carrier Bags. These bags are made by our professionals who have immense expertise in manufacturing these products. The best quality raw material is used to ensure the delight of customers. The entire range is light weight and handy. These products come at industry leading price for the convenience of customers. 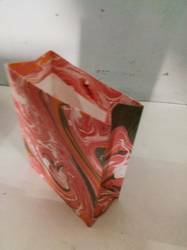 it is hand made paper 100% cotton with marbling design this bag size 10.5x 15.5 and allso available all size..